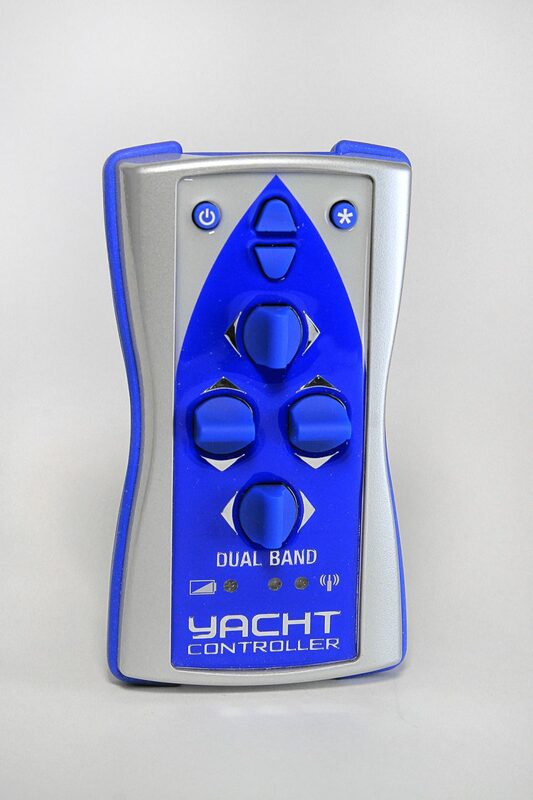 Technologically even more advanced than the original patented Yacht Controller model, the DUAL BAND version has finally left behind its many imitators.By operating on two completely separate frequency bands, the Yacht Controller Dual Band model makes your mooring procedure even safer than before, by eliminating external interference from any nearby unscreened devices that do not comply with the legal requirements for wireless transmissions. 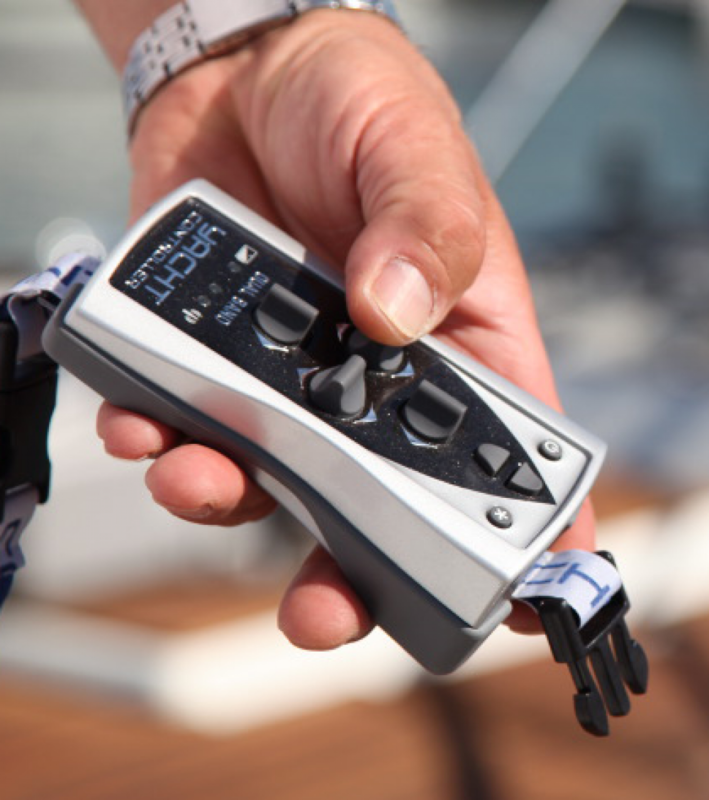 When your receiver is turned on, a switch on the transmitter handset gives you full control over the mooring operations. 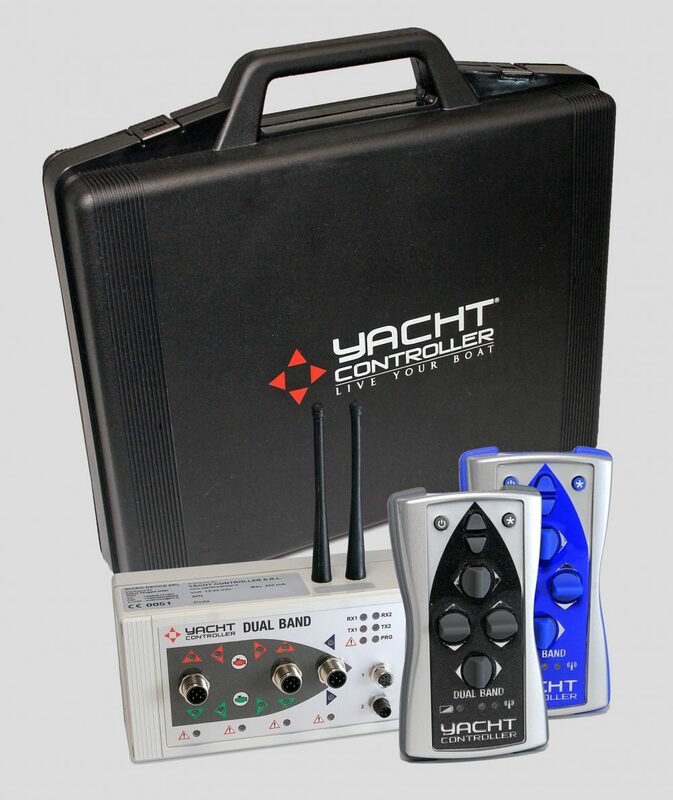 - A double receiver operating on two separate frequency bands, ensuring perfect operation even when there is external interference or when either of the two bands is out of service. 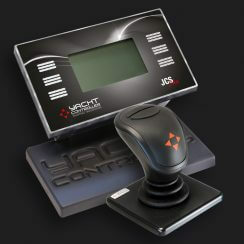 - A multiprocessor structure (a central CPU with a microprocessor for each function) that gives you two levels of control over each function, making unintended commands impossible to execute should anything go wrong. 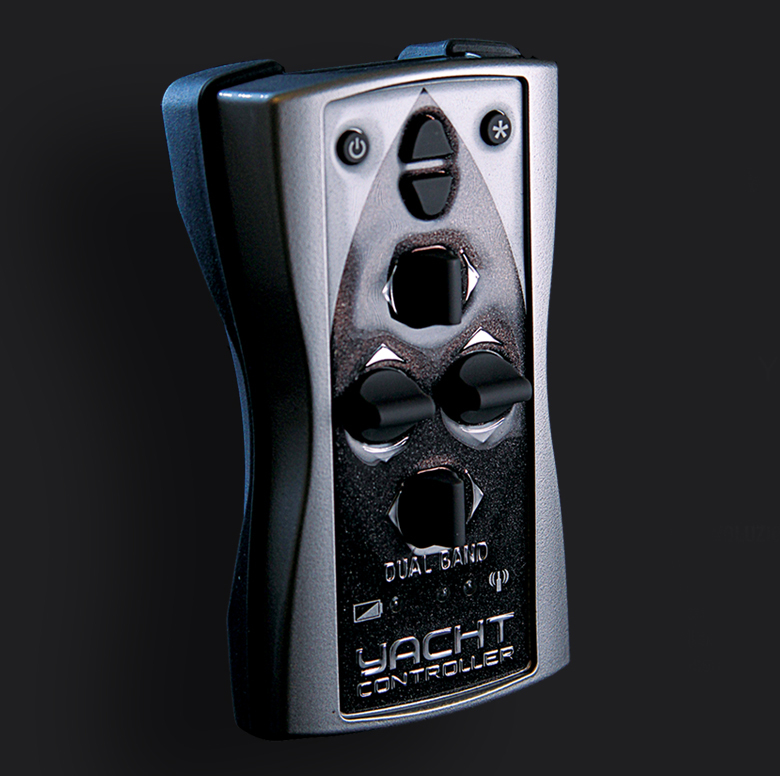 - Double relays for each command output, preventing unintended activation. 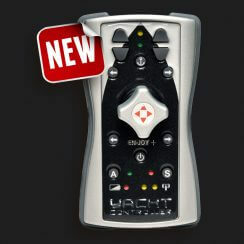 - A modular design that can be easily modified to add new functions. 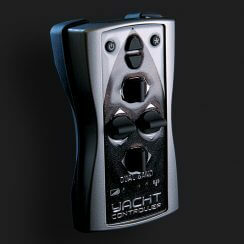 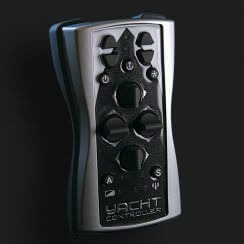 If you change your boat you won’t need to buy a new Yacht Controller. 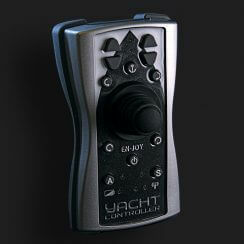 You simply replace an internal card and can continue to operate your new boat with different controls. 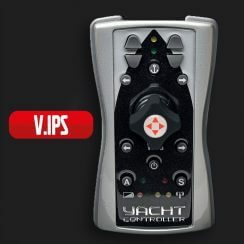 - LEDs on the front of the receiver unit confirm that the electronics are operating correctly, tell you which commands are being activated, and provide details of any malfunctions. 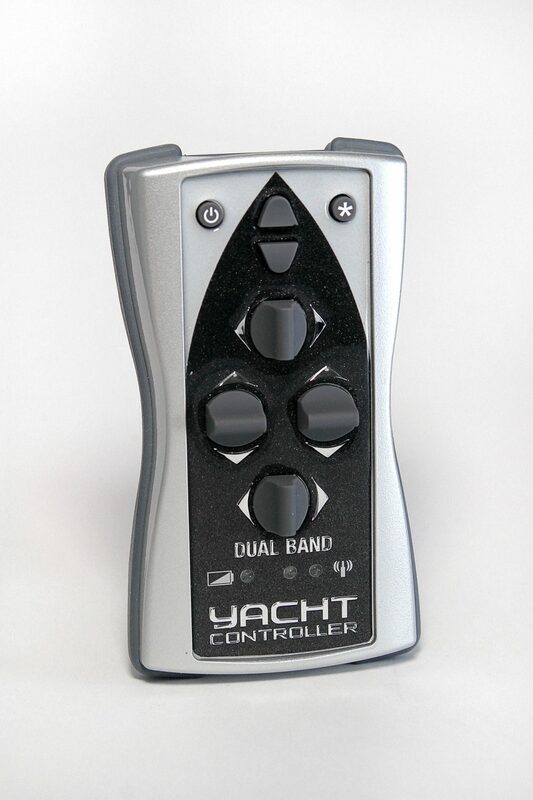 A beeper warns you should you lose connection to the transmitter, signals the various states of operation, and has an alarm to advise you of any malfunction.